It's that time again to see what I found for a steal! I couldn't believe I found all of these for .50 cents a piece !!! How Awesome is that? Yep you guessed it Big Lots !!! Trick or treat in my case it was TREAT !!!! yippee! Happy Monday Everyone Its that time for another challenge! This weeks challenge is to create something with a road trip theme. 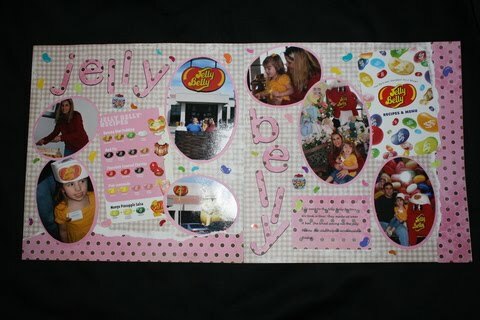 This is a layout using the Learning Curve cartridge and Cricut Markers. We took a road trip to the Jelly Belly factory while Longaberger baskets were there and I got to weave my own special edition basket embellished with metal jelly belly's on it !!! If you would like to participate in this challenge head on over to the Fantabulous Cricut Challenge Blog!! See ya there! With all my projects lately I decided to squeeze in doing a challenge! This is for My Pink Stamper we are to create something Wintry! 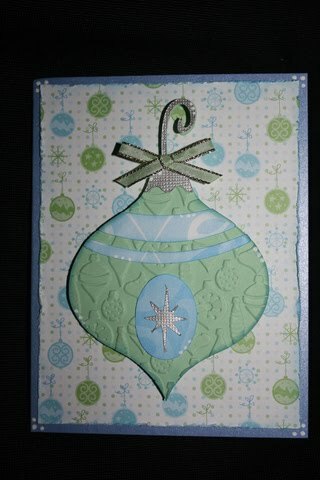 I used my Tim Holtz distressing tool, Winter Frolic cartridge and the new Sizzix "Thin Ice" embossing folder. 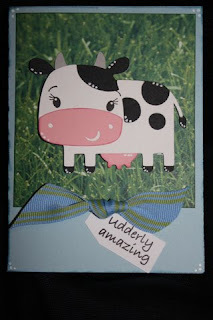 I absolutely LOVE these new embossing folders they create a deep impression! I found these in 2 packs at JoAnns! Enjoy! 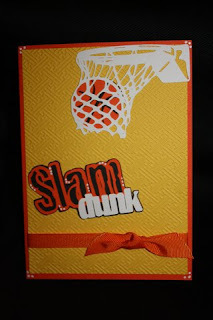 A simple Basketball card for a teenage boy. This cartridge is not one of my favorites but my nephew loves Basketball so this is a birthday card for him. Candace from Crafts by Candace made these adorable candy bar sliders I of course had to try! 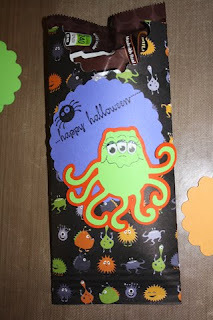 So I created one using this super cute monster paper, the Mini Monsters and Stamping cartridges. I also used a stamp from Michaels and Peachy Keen stamps! Enjoy and thanks Candace for showing me your secret !! So I participated in Candace's Cricut swap! It was holiday themed Halloween, Thanksgiving or Christmas. These were cut at 4" using the Snow Friends cartridge (one of my favorites!!!) I also used PK Princess stamps for her cute little face and fruit punch stickles! Circle Sister thanks and another shopping trip LOL!!! I got a package from my circle sister Alma !!!!! 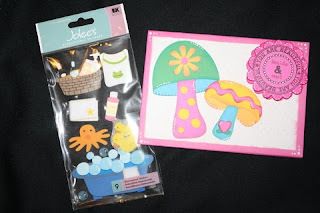 See the goodies she sent me! THANK YOU ALMA!!!!! This weeks challenge is to create something with a HOT Tropical theme! 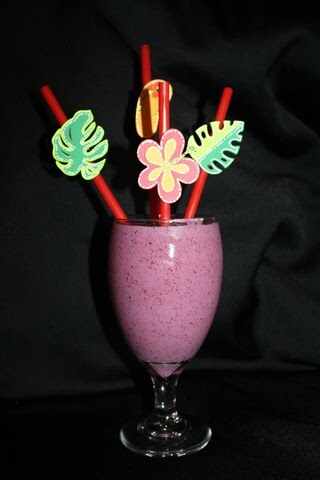 When I heard this I thought of laying on the beach somewhere drinking something fruity, sweet and blended!!! You have all heard of wine charms? 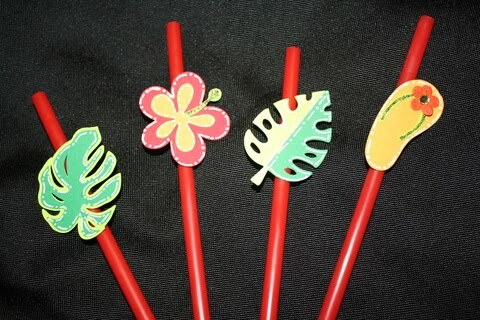 Well the next time you have a party try these straw charms, that way each person will know which glass is theirs!!! I created them using Life's a Beach , you can join in this weeks challenge at the Fantabulous Cricut Challenge Blog hope to see you there! Enjoy! Looking to go shopping this weekend?? Find out who has what and how much! Enjoy! Hope you enjoy Alma !!!! Cricut picked 4 of my projects to be on their next infomercial they are taping right now !!!!! I have been working so hard on these I had to make 4 of each project it was ALOT of work !!! I am not allowed to post my projects that were picked until next month.. However I did win a $50 visa gift card for EACH project PLUS a EXCLUSIVE cartridge only being released with this new offer for the Cricut !!!!!!!!!!!!! I realize I haven't posted much lately I have been working on some secret squirrel stuff LOL !! 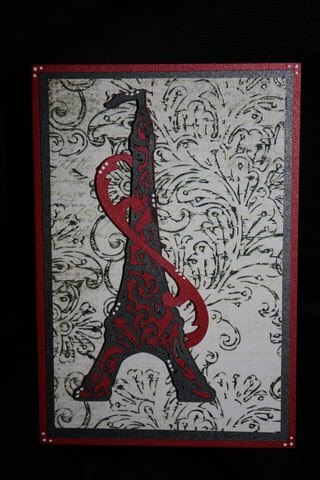 Here is a card I made with Preserves! 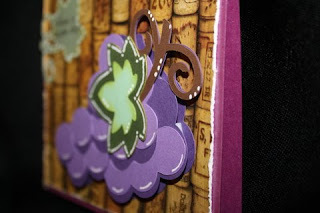 I used this AWESOME embossed paper in the shapes of wine corks which I LOVE !!! SO where do you get the awesome paper you ask???? It is in the "Weathered and Worn DCWV stack" I got it at Michael's. 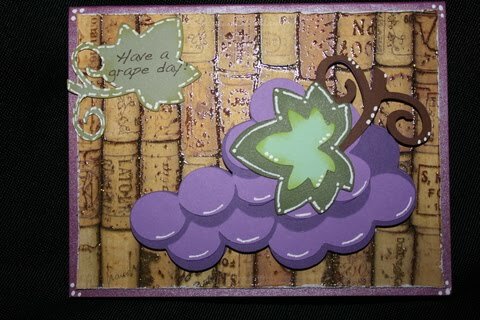 I distressed the edges of the cork paper, pop doted the grapes and used a MPS stamp for the saying! My not so secret circle sister !!!! So as you know I'm a member of the Cricut Circle and one lady started a fun thing on the chat board. Everyone fills out 20 questions and then she "matches" you with someone that has the same interests as you. You get to get to know this person and sent them packages and just be there for them. So of course I signed up to experience it LOL.....and I must say she paired me up with someone GREAT !!! 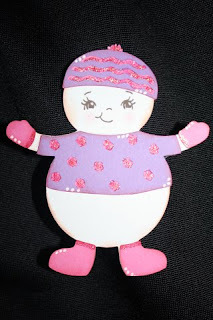 My Circle sister is ALMA and her blog at My Pink Life so stop over and say "hi"
This weeks challenge is to create something related to the outdoors! 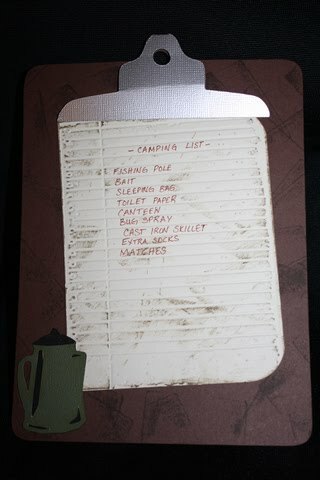 I created a clipboard using Fabulous Finds. 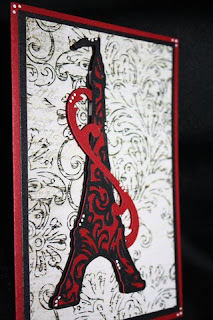 I used Tim Holtz distressing ink to make it look older and beat up. Also the NEW Tim Holtz "Notebook" embossing folder, I also used distressing ink on this to make it look old as well. The canteen pitcher is from Camp Out. 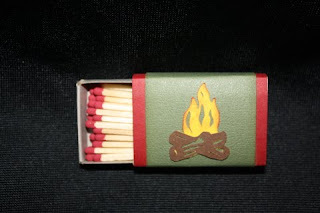 Also with Camp Out I covered a small box of matches and added a wood pile and flames! 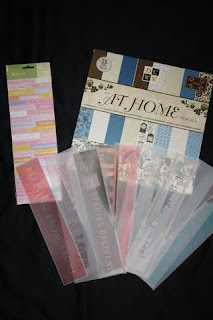 If you would like to participate in this challenge head on over to the Fantabulous Cricut Blog Challenge to enter and win some great prizes !! Enjoy!!! 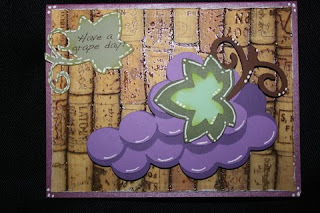 This is made with Create a Critter and Peachy Keen Princess stamps (I just used the eye's) Enjoy !! My prize ! WHOO HOO !!!! I received my 10 cartridges from Jinger Adams' facebook ice cream challenge!!!!!!!!!!!!!!!! I'm soooo excited..THANK YOU so much Jinger I WILL put them to good use.... I can't express my gratitude enough!!!! This was video taped in the Fed Ex parking lot LOL sorry about my kids in the background and word world playing LOL!!! I got home yesturday from the beach! So good to be home, I missed my Cricut LOL!!! I recently got a pack of black and white georgeous paper so Of course I wanted to do something elegant with it! Both cuts are made at 5". Enjoy! Im currently on vacation at the beach building sandcastles with my girls! So not much crafting is happening...when I return in a few days I will start posting again.....If you would like to know about my personal life and pictures you may friend request me on facebook.....please only friends and other crafters LOL ! I know you know what Im talking about ☺See ya in a few days !!! This week is all about the word "Smile" and making a project incorporating "Smile" somewhere on your project! 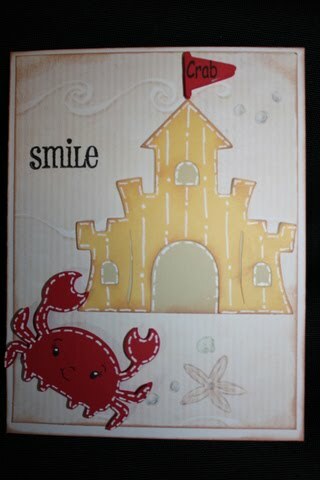 So you can take this card 2 ways "Smile Crab" implying your giving it to someone crabby or just "Smile" and this is the crabs house.....read it how you will LOL !!! 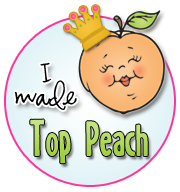 This was made with Create a Critter and Peachy Keen Princess stamps. 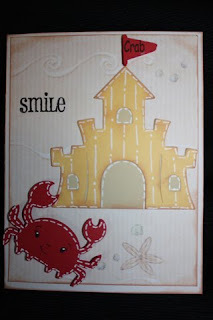 I pop doted the crab and the flag, then inked the project and embellished with a white gel pen! Enjoy! When I was in Michaels the other day they had their Recollection brand of NEW flower jars, and this was in one of the jars. You get 12 in a jar, arent they pretty? It would look great on a card or anything but Im thinking a cluster of butterflies flying on her wall....how cute will this be? I believe they were 9.99 but of course I use a 50% off coupon. Enjoy! 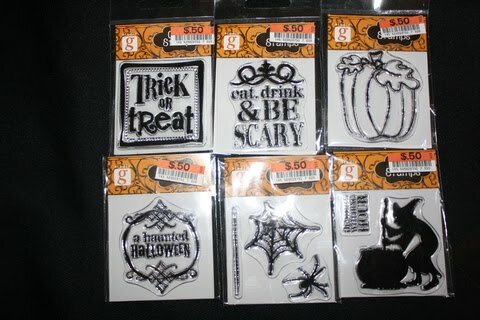 So I know you all like to see my "bargains" so this is what I have found this week at Michaels! 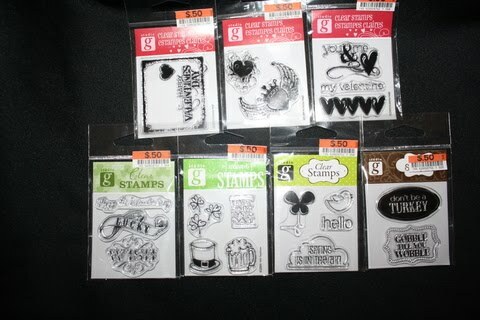 The first are two cute punches from M.S on clearance for $4.99. 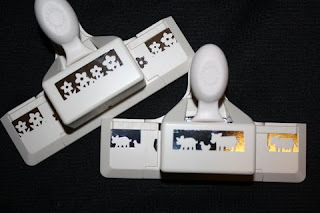 The farm one is adorable, how cute will that be with the new country living cartridge???? 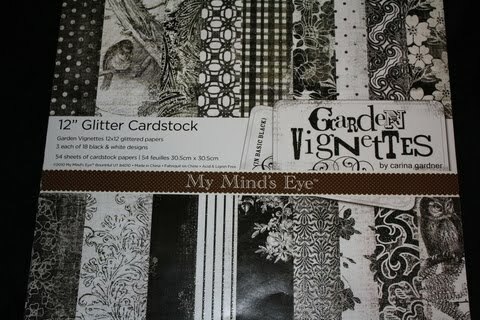 Next my friend gave me a 50% off coupon and I bought this paper pad. It is GORGEOUS!!! Every page sparkles! 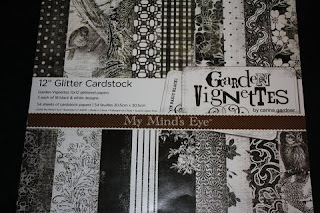 Cant wait to make some beautiful cards with it. I also found the message board with super cute glitter push pins. These were clearanced for $6.99 and $1.99! If interested in this its on the opposite side of the store in the kid scrapbook section......why wouldn't they have all this with the other scrapbook items? weird. So there are my bargains! I will show you tomorrow a beautiful product I picked up too! I could not decide so the winner of the messiest craft space was chosen by my husband! Thank you all for making my space look not so bad LOL !! It was a fun challenge and I appreciate everyone who posted photos on Mr.Linky and Facebook. I also was soooo happy to see everyones Cricut on their desk space! So now for the winner....... Roxy !!! Please send me an email and let me know your mailing address and if you would like your name on your award! Last day to enter the challenge!! Winner will receive the first ever Cricut Construction Cone Award !!! This week is all about BBQ summer fun over at the Fantabulous Cricut!! 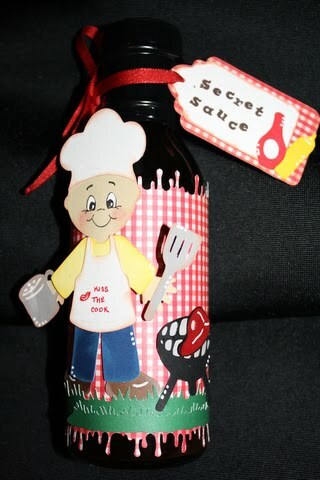 I decided to create a great gift for any Master of the BBQ!! 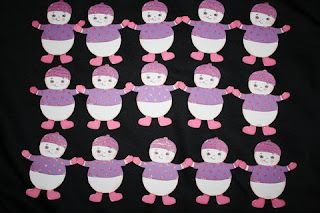 This was made with Everyday Paper Dolls and Preserves for the tag! I also used the "famous" drippy goo punch by Martha Stewart. Enjoy!! If you want to join in the challenge head on over here! WHOO HOO!!!! 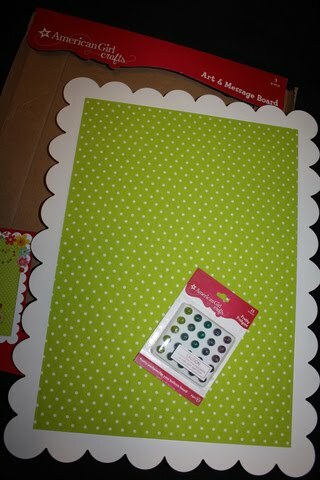 I just got home from Cricut class and had an email waiting for me from CRICUT !!! 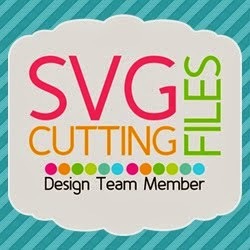 I will be featured in an upcoming Cricut Chirp newsletter!!!! I will receive a cartridge of my choice for being featured.... I LOVE IT !!!!! Thanks PC !!! New Creative Memories Carts !!! Are you looking to purchase the NEW cartridges exclusive to Creative Memories? Theresa is offering a FREE 12x12 cutting mat when you purchase the new cartridges from her. For her site click HERE Shipping is 8% of the purchase plus the sales tax in your state. Orders are shipped directly to you and she said she would ship your 12x12 mat as soon as she receives your order confirmation! Shirley is offering 10% off all orders for the next 2 weeks! 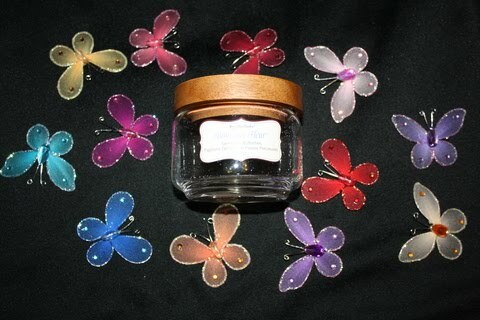 You can visit the Creative Memories website and send her an email for an order total. Search Shirley Hurlburt.